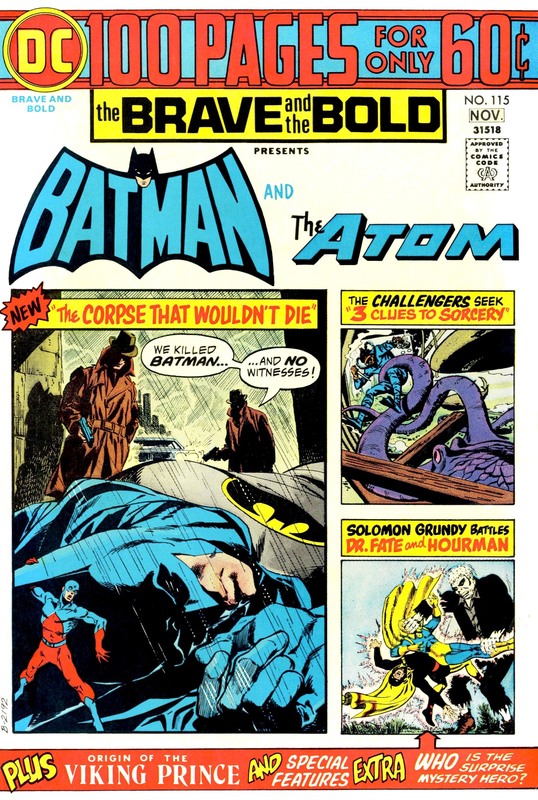 …and that’s when the Atom shrinks down, hops into Batman’s ear canal, pauses just long enough to drop some knowledge on the kids by explaining how the ear works, and starts stomping around in Batman’s brain until he finally kicks the synapse that makes him get up and go fight crime. By this logic, Sue Dibny should be frigg’n immortal by now. Also, I feel I should mention that Dr. Frankenpalmer explains that while he’ll be contributing to some of the major motor functions, Batman’s mostly going to be operating purely on reflex. Which means that Batman’s involuntary reaction to the world around him is to hunt down evil and beat the crap out of it. Lots, lots more in the link. Having a bad day? This’ll fix it. Man, comics used to be INSANE! Without even trying!